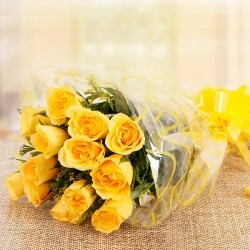 Express your deepest feelings of love and admiration with scintillating bouquet arrangements of Roses. Every color holds a different meaning altogether. Pick your color to depict your affection and send Valentine Roses online to someone you adore. Buy now! 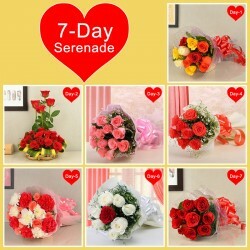 Rose Day is the foremost day of Valentine week falling on the 7th of February. It is commemorated with great zeal and ardor by the ones deeply in love. The various colors of a rose convey a different meaning altogether. As Valentine week is around the corner, start it off by picking a single rose or an exquisitely designed rose bouquets and sending them to your significant other on Rose Day. Flowers best express our loving thoughts and emotions. 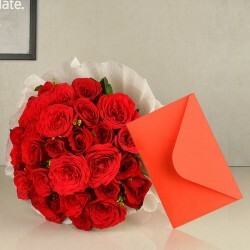 Roses being the most preferred floral beauty of all time, they truly convey your love in the most scintillating manner. Though roses are red, but they come in different colors too! Every color has a lot to say about our innermost feelings and notions. 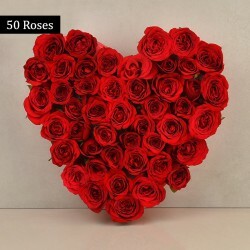 Send Valentine gifts for Rose Day 2019 and make this day of love extremely endearing. Look out for Valentine Rose Day gifts and impress your sweetheart and make it memorable. Come along as we journey through the fascinating language of flowers! Heres a list to give you an idea on the significance of each of the colors of roses. Please your love this Valentines Day with fresh and fragrant roses from MyFlowerTree and brighten the very first day of the Valentine week even more! 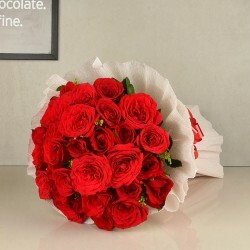 Its difficult to find roses in unique colors when you are looking for a pocket-friendly Valentine Rose day gift online. Red, Pink and White colors are easily available. Though Peach and Blue roses are very rare and are hard to find at any online portal. 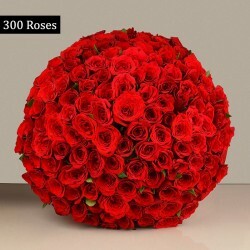 MyFlowerTree is one of the most preferred online gifting portals delivering fresh Valentine Roses online anywhere in India and abroad with Free Shipping across India and over the globe. No wonder Valentine’s week celebrations are the most awaited time of the year for all the lovebirds worldwide. Rose day on 7th February kick starts the beautiful week of love and romance. 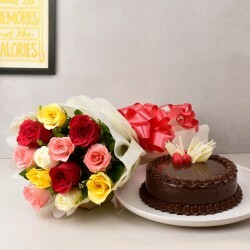 Starting from the soul captivating arrangements of Roses, cakes and different types of Rose day special gifts, we have it all readily available for you. 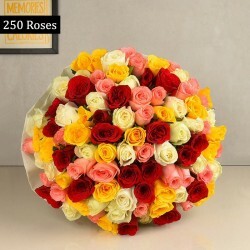 We have alluring Rose day special gifts like pray Rainbow Roses, The Perfect Couple, Yes Its You, Heart Of Gold, Fruitful Love, Magical Pink, Sunshine 60, Love of 40 Roses, Roses n Ferrero Rocher, Art of Heart, Roses in a tray, Special 100 Roses in Basket, Roses in heaven, Joyful Surprise, 100 Pink Roses, 60 Rose Bites, Moon of Rose, Seven Wonders, Heart of Roses, Yellow Friendship, Assorted Roses, Single Rose Stem, Medley of Love, Red Wonder, Pink Beautiful Basket, 50 Roses, Lucky in Love, Big Red Heart, Layers of Love, Awesome 100 Roses, Love of 69 Roses, Pink Craze, Big Love, Be My Princess, Power of 50, Special Forty, Queen of Roses, Heart of Valentine, and lots more! 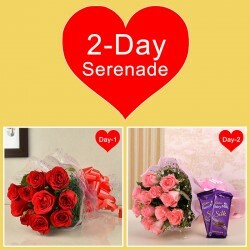 Additionally, to make your Rose day more romantic and vibrant, we offer excellent discounts on our Rose Day special gifts. 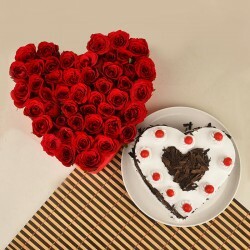 Now, it’s time to bring a smile of pure happiness on your loved one’s face with our exceptionally romantic midnight cake delivery service where you can send Valentine Rose Day Gifts to your loved one’s doorstep at the middle of night, and make her/him fall in your love again in a new way. Products in this category have been rated 4.5 out of 5 based on 115 reviews.